At the end of the day your feet should be dirty, your hair messy and your eyes sparkling! 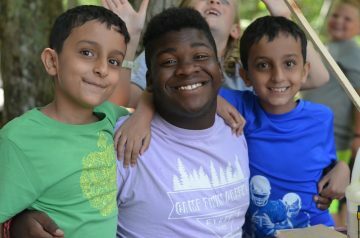 Cabin Specialists are the life and soul of the cabin they live in and take on the majority of the responsibility to ensure their campers are safe, happy and learning at camp. They travel with the children during the day and participate in the activities that they attend. As a result the Cabin Specialist has an opportunity to make a strong connection with their bunk whilst getting the chance to enjoy the same variety of activities as the campers! Cabin Specialist is a perfect role for anyone considering any type of education/child care career path or someone looking to develop leadership skills. Our program and activities are facilitated by our Activity Specialists. They will have had experience playing, teaching or coaching in their particular field of expertise. Some positions do require additional certifications and qualifications which we will pay for and provide training time to complete. Activity Specialist is a role suited to anyone looking at coaching or teaching roles in the future. Lesson planning, communication and goal setting are essential skills to have in your tool kit. 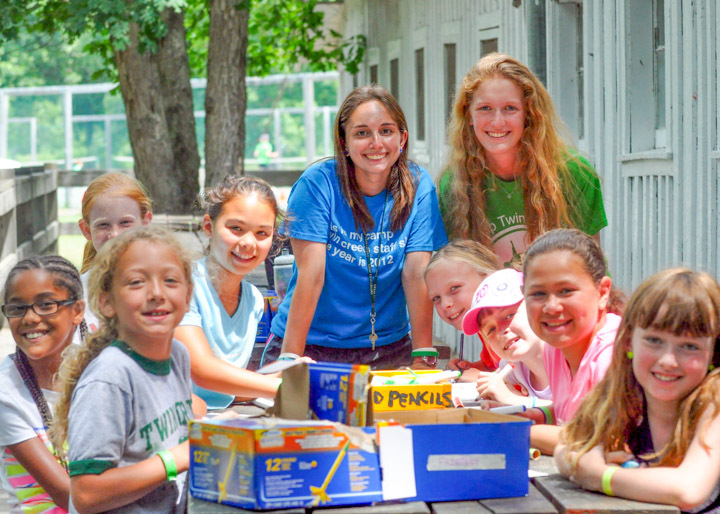 Our Group Leaders and Department Head’s fulfill a special role at camp, managing staff and larger groups of campers. The ideal candidate is someone who has previous experience working with children and also managing people of their own age. A Group Leader is responsible for the well being and safety of several cabins, the campers within them and also the staff. A Department Head will oversee entire activity departments such as Waterfront, Ropes, Stables, Arts & Athletics. If you are pursuing leadership/management roles in the future then this is a fantastic role to apply for. Simply put, without our Support Specialists camp wouldn’t be possible. Our Support Specialists encompass all aspects of our camp community from Transportation, Laundry, Logistics, Special Events and everything inbetween. If you you enjoy problem solving, getting involved in hands on tasks and being an organizational champion? If your answer is ‘yes’ then our Support Specialist might be the role for you. These staff members play an essential role in the day-to-day running of our facility and program from behind the scenes. Organizing and setting up areas for special events, distributing water, transportation shuttles, laundry, facilitating trips off-site the list goes on. If you are considering a career in event management, planning or simply want to put your skills to the test then this is the role for you. We always have a minimum of two nurses on site per 2-week session, ideally three, and they are the primary medical caregivers supported by our camp doctor. They are responsible for the distribution of medication as well as taking care of all the bumps and bruises that can happen when kids are having fun at camp.